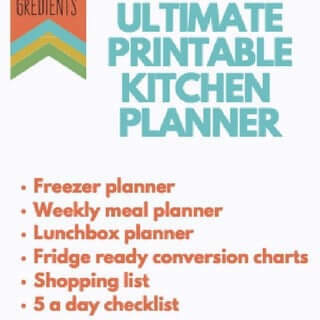 The ultimate printable kitchen planner with everything you need for planning and organising your kitchen, meals, lunchboxes and freezer! 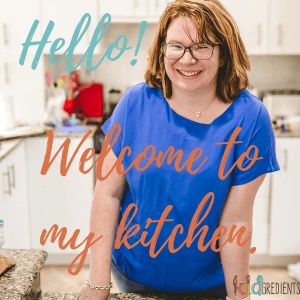 Is organising and planning your cooking, meals and freezer something you would love to do, but you don’t have the tools? This free set of printables will help with getting you organised from writing shopping lists, to keeping an inventory of what’s in your freezer. These are the very sheets I use in my kitchen to keep it organised and to keep on top of things. 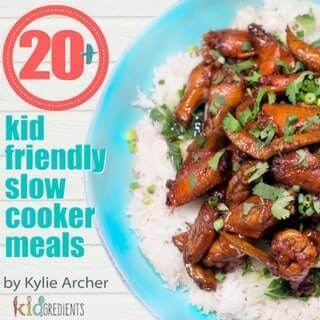 Laminate the weekly meal planner and the lunchbox planner and pop them on the fridge. My weekly meal planner is in a frame on my non-existent pantry, laminated and I can write on it and wipe it off at the end of the week. Use the charts to make sure you’re super organised and have a stocked freezer for back to school or any other time of year. 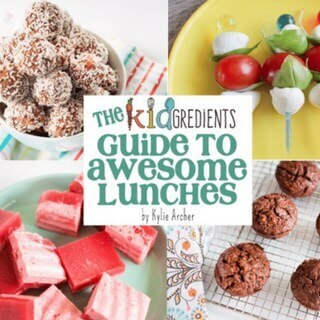 The lunchbox planner will help you with ideas and recipes you could make for lunches. Write some extra favourites on before laminating and let the kids pick and choose. Print the conversion charts so you’re never stuck when it comes to working out what temperature the oven needs to be or what size cake tin you need. Use the 5 a day checklist to keep on top of what a serve of fruit or veg is and how many you have had in a day. it’s even fun to check off what you have had during the day to keep track or use it as a guide when packing lunches.